The MAC Address is a important part of a computer and Internet. MAC means (Media Access Control). In a local or other area network the MAC Address is your computer's unique hardware number. When you are connected to the Internet from your computer a comparison table relates your IP Address to your Computer's constitutional (MAC) address on the LAN. 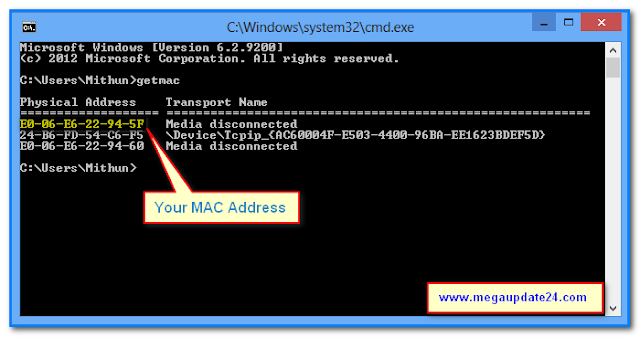 Now we take a look at how to find out the MAC Address from computer with three step. Step 1: First we need open Command Prompt on PC. 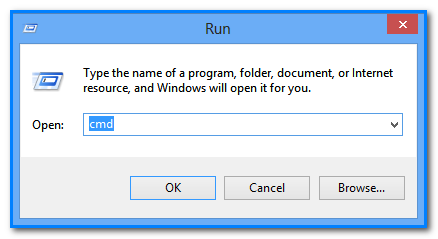 For open Command Prompt on a PC Press Windows + R then open Run Command . 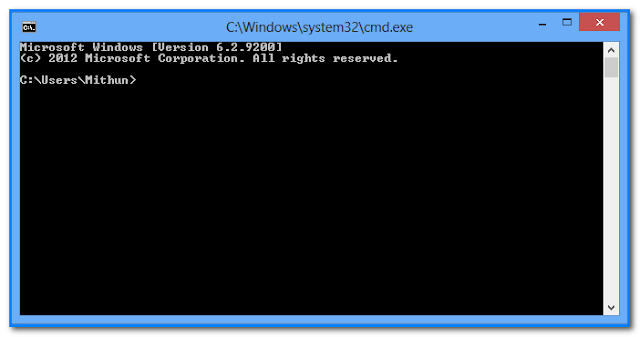 Step 2: Now Write cmd on the blank area and press enter. Then you can see look like below image. Step 3: Now write on command prompt getmac and press enter. When you get this image you ensure that you can successfully find out MAC Address From your Computer and you are done. If you face some problem please comment bellow I will try solve it.